Running is a fun way to hype up your day and burn some calories. Running enthusiasts who include those with high arch feet can enjoy running by wearing shoes specifically designed for their arch type. Since there are a lot of running shoes in the market, finding the perfect pair for your high arch feet might take some time. We have compiled five of the best running shoes for high arches to help you out. What are the Types of Arches? What To Look For In Running Shoes For High Arches? Asics Gel-Venture 5 uses gel cushioning system for added impact protection. It is lightweight and has a rubber sole which is about an inch thick. 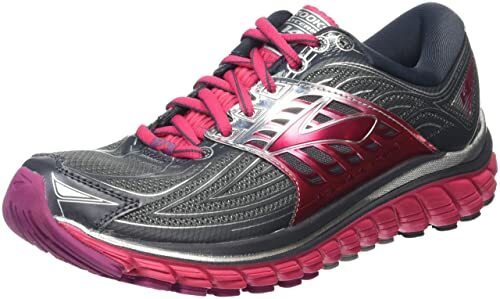 Brooks Glycerin 14 is a neutral shoe with maximum cushioning. It is lightweight and it uses 3D Stretch Print for a more comfortable fit. Nike Air Zoom Pegasus 33 has a soft cushion midsole for comfort and protection. This is lightweight and its flex grooves allow flexible range of motion. ASICS Gel-Kinsei 6 has rear and forefoot gel cushions for added support. It offers a snug fit with its FluidFit upper technology. Altra Torin 2.0 features a fully cushioned Zero Drop platform for less impact during running. These lightweight shoes allow for the movement of toes with its FootShape Toe Box feature. This cool-looking pair of shoes has a breathable fabric lining which helps keep the feet dry and at ease during work-outs. It is suitable for people with orthotics since it has a removal insole. It is great at absorbing shock with its Rearfoot Gel Cushioning System. Also, placed in some parts of these shoes’ outsoles is ASICS High Abrasion Rubber (AHAR). This type of rubber makes the shoes durable and flexible. ASICS designed the outsoles to fit every type of terrain you wish to run into. They also created these shoes to be lightweight to keep you comfortable during your run. 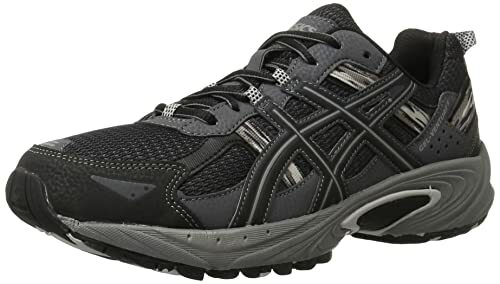 ASICS Gel-Venture 5 running shoes are budget-friendly, stylish, and wide at the toes. The manufacturers need to improve these shoes’ quality though as some complained of fraying shoelaces, soles falling apart, poor stitching, squeaky sound with each move, and discomfort when used in flat land. This pair of neutral running shoes is soft, flexible, and comfortable to use. Each shoe comes with a super DNA midsole which absorbs shock giving that soft feeling and comfort while in use. Found in these shoes’ soles are so-called ideal pressure zones which evenly distribute impact away from the body. This adds to the flexibility of these shoes. Thanks to 3D stretch print technology, the upper part of this shoe is stretchable to make sure it fits different types of feet. This feature also makes these running shoes lightweight. Another feature that we like about this shoe is its conformable saddle which gives a good midfoot wrap for even better fit. Each pair of these shoes comes in different colors to choose from and it offers great comfort. Some found the colors not appealing though. As these shoes are a bit pricey, quality is expected. Some users found stains on their newly purchased shoes. This 33rd version of Nike Pegasus comes with improved features of the Pegasus 32. It looks cool and it comes in different colors to choose from. It scores high in breathability with its engineered mesh allowing for movement of air in and out of the shoes. It has a sock lining which does not only offer a breathable fit, but also helps in controlling sweat. Nike has added a reflective material to the heel of these shoes. This reflective material might help those who like to do their run in the wee hours. We personally like an added feature which is the Zoom Air units found on the forefront and on the heel of the shoes. These air units are put in place for softer impact and added response to every move. Its cushioned midsole offer an added support during movement. We also like that it has a sticky rubber sole for added safety especially if the road you are running on is slippery. It also has Flywire cables for added support. 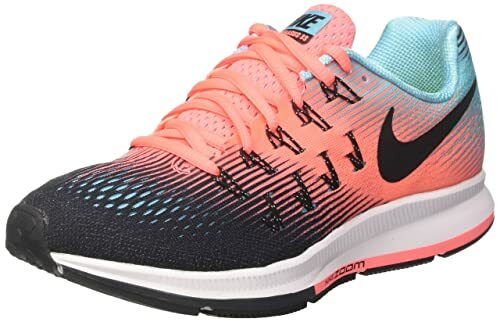 Nike Pegasus 33 is perfect for running as it is ultralight, breathable, comfortable, and offers great support. Some aren’t happy about its price and narrow toe box, though. ASICS Gel-Kinsei 6 offer good foot health making it deserving of its Seal of Acceptance given by the American Podiatric Medical Association (APMA). Like ASICS Gel-Venture 5, the sole of Gel-Kinsei 6 was made with ASICS High Abrasion Rubber (AHAR) making it durable. Wearing these shoes might make you feel like your feet are gloved since the upper parts were made with FluidFit technology. Also, each shoe comes with dispersed eyelets. This allows for customized tension and better fit.It is comfortable to the feet as it has a breathable sock liner. Each pair comes with a rear and forefoot gel cushion for added comfort and support while you make your move. It has Impact Guidance System (I.G.S.) technology to support normal heal-to-toe motion. 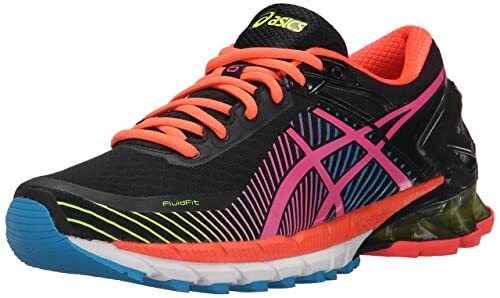 ASICS Gel-Kinsei 6 for women was designed to have a midsole with lower-density top layer for better compression during a run. This pair of shoes is good for running as it is lightweight and is comfortable to the feet. Also, it offers great arch and heel support. Some prefer it to have a wider toe box though. These ultra-lightweight shoes are fully cushioned from the heel to the forefoot offering comfort and support to the feet. The midsoles were designed to offer protection, flexibility, and durability. Each pair of these comes with a Foot Pod outsole which supports the natural form of the feet. This allows for better flexibility and responsiveness. Altra Torin 2.0 is also sought-after for its wide toe box. This will surely keep runners from blisters and pain after use. The upper parts of these shoes were made with quick-dry air mesh. This feature will surely keep the feet dry and comfortable. 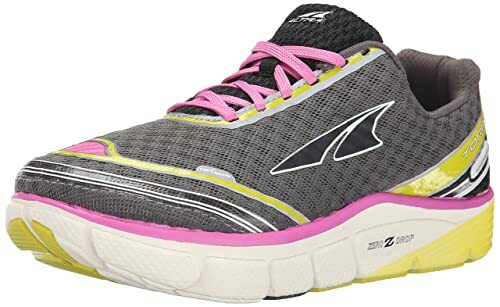 Altra Torin 2.0 is well-cushioned and is comfortable to the feet. It has some issues with durability though. The soles and the inside heel started breaking down just after a few months of use. To experience utmost comfort during your work-out, it is important to choose a pair of running shoes suited for your arch type. Foot arches are characterized as low, medium, and high. People with this arch type have their feet rolling inwards when they run. While this inward motion is for shock absorption, this can cause injury to their feet and knees. If you have this foot type, go for shoes which offer great stability.Choose a pair of running shoes with dual-density or wider midsoles. This arch type allows for slight rolling in of the feet to absorb shock.If you have a normal arch, any type of shoe will be good for you. If you have this type of arch, it means to say that your feet slightly roll outward when you run. This outward motion of the feet does not offer good shock absorption. People of this arch type are usually prone to develop foot and lower limb injuries. They can also suffer from back pain and muscle fatigue in the legs. The recommended running shoes for high arch are those with neutral cushion which allow natural rolling in of the feet during a run. When it comes to choosing the perfect shoes for you, you need to consider several factors like your weight, the shape of your feet, your arch type, and the type of surfaces that you run on. People with high arch feet need to use flexible shoes to counterbalance the stiffness of their feet and to help dispense impact from every move. Look for a shoe with a soft upper. Another thing to check is the sole. It should be flexible as well to help lessen impact from each stride. To check for the flexibility of a shoe, try bending it in different directions. It should rotate to the direction you bend it to. For added support and impact distribution, people with high arches should search for a running shoe with neutral cushioning. This type of shoe does not only help distribute impact from every stride, it also allows for correction of pronation or rolling in of the foot. Before buying a running shoe, look for keywords like cushioned, flexible, or shock absorbing. Some shoes also support orthotic inserts. You might as well check on this as well before placing your order. While all these shoes offer promising benefits to runners with high arches, Nike Air Zoom Pegasus 33 is our top choice. It offers great cushioning with its Zoom Air Unit and a soft cushion midsole. Its Zoom Air Units found in the heel and forefoot help lessen impact of each stride, while its soft cushion midsole adds support to the foot. It offers comfort and flexibility as it is lightweight and it is made with breathable materials. We also liked that its sole is made with a sticky rubber for added protection. This shoe was made to perform without losing its style and design. That is why we think that Nike Air Zoom Pegasus 33 is the best running shoes for high arches.